What is the meaning of life? Or death, for that matter? It’s the ultimate philosophical cliche. We strive for greatness — or just to exist — and then, just as quickly, our most precious possession is extinguished, and we’re no more. We fight, and we fight, and for what? It’s the sort of question posed by numerous books and films, but it’s hardly the kind asked by a video game. Most are content to throw bullet sponges and high score trials at us, merely challenging our ability to act, rather than reason. Eat the power pellets, beat the last boss, finish the game. Rinse. Repeat. Continue?9876543210 challenges us in a different way. It asks us to discover what all of this might be for — and posits that there might not be an answer. From the mind of Skrillex Quest creator Jason Oda, Continue?9876543210 puts you in the shoes of a “failed video game character.” After falling during your quest, you’ve been sent into the Random Access Memory of your computer to be scheduled for deletion. Rather than submit to the inevitable, you’ve decided to take what’s left of your life into your own hands and continue your quest — or, at the very least, survive. Levels are selected randomly, each offering its own challenges and poetic reflections on death and its acceptance. You’ll explore the distorted, 8-bit voxel-encrusted world, fight bad guys, and talk to each level’s inhabitants before time runs out. Talking to people will unlock hidden rooms, grant currency, or provide clues to complete its simplistic fetch quests. The most important items you’ll find are lightning and prayer. Lightning destroys the barriers that block your path to the exit, while prayer builds shelter in a far-off town. There’s a vital interplay between both of these requests — you’ll need to clear out the barricades with lightning before the time limit on each level expires, and you’ll need prayer to build as much shelter as possible. Between every few levels, you’ll hide out in your shelter in an attempt to ride out the storm. Enemies, challenges, and dreams await. Culling from a history of video game cliches, you’ll recognize many of Continue?09876543210’s influences. Side-scrolling levels evoke strains of Zelda II. One level feels eerily similar to Space Invaders. None of these challenges ever feels as well-crafted as the games it apes, but that’s not the point. Rather, Oda brilliantly uses the common language of video games to tell his story, the mish-mash of genres representing the scattered and garbled code from which you are fleeing. You’ll press onward to accomplish as much as you can, to beat the game. Eventually, you’ll run out of time. You’ll make too many mistakes, will run out of shelter, and will die. You’ll never discover all of the game’s answers and there’s no final reward at the end of your journey. But that’s OK. Life rarely provides us with all the answers we desire. We seek for ourselves and at least come to some understanding — or our own interpretation at least — of what it all means. Continue?9876543210, like life itself, is simultaneously incomprehensible, yet clear; beautiful, yet melancholy. We make sense of what we can, eke out our existence, and enjoy the gift that we were given while we have it. The game’s controls are imprecise, the graphics simplistic, and the overall gameplay isn’t exactly “fun” in the purest meaning of the term — but all of these are secondary to the message of Continue?9876543210. We continue to fight — for knowledge, for understanding, for existence — because life is worth the fighting. Video games rarely tackle heady themes such as these; I hope to see more that do. Continue?9876543210 asks for more than mere rote skill-based challenges. Rather, it forces us to reflect on existence, and explore the dark recesses of inevitability. 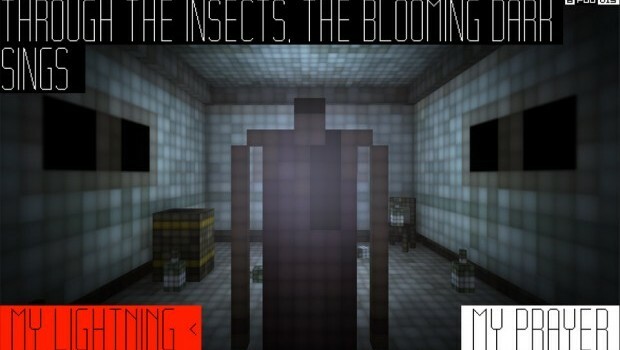 As a game, it’s unpolished, but as a rumination on mortality, it’s an interactive poem.